The OIE encourages collaborative activities between its OIE Centres. This is a belated update, but on 2017 October 19th, the OIE Joint Collaborating Centre for Food Safety, consisting of the Research Centre for Food Safety at the University of Tokyo, the Division of Health and Environmental Sciences of Department of Veterinary Medicine, Rakuno Gakuen University, and Singapore Veterinary Public Health Centre, held ‘Antimicrobial Resistance Seminar from Food Safety Perspective’ together with the OIE Collaborating Centre, the National Veterinary Assay Laboratory (NVAL) of Japan at the University of Tokyo. This time, the OIE Centres discussed on antimicrobial resistance issues together with the participants from 12 countries and regions (Bhutan, Singapore, Sri Lanka, Mongolia, Myanmar, Vietnam, Cambodia, Chinese Taipei, the Republic of Korea, Hong Kong, Thailand, and Philippines). In the seminar, after the lectures on Japanese antimicrobial resistance monitoring systems and application of scientific analyses to the data, participating countries share the current situations on the monitoring system on the use and antimicrobial resistance of bacteria, and the issues related with them. 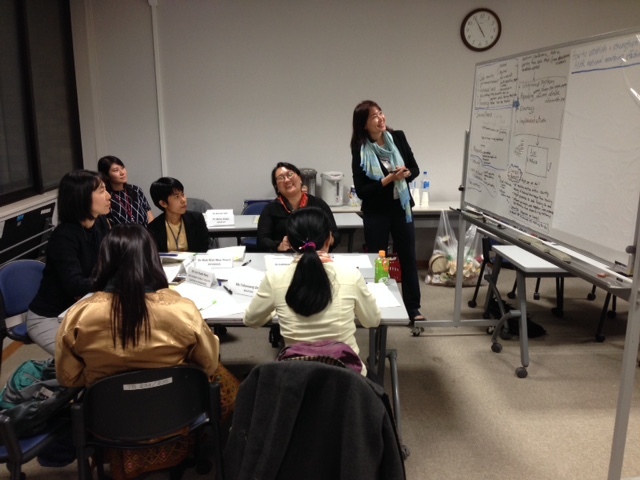 In the group work session, participants discussed how they overcome difficulties identified.